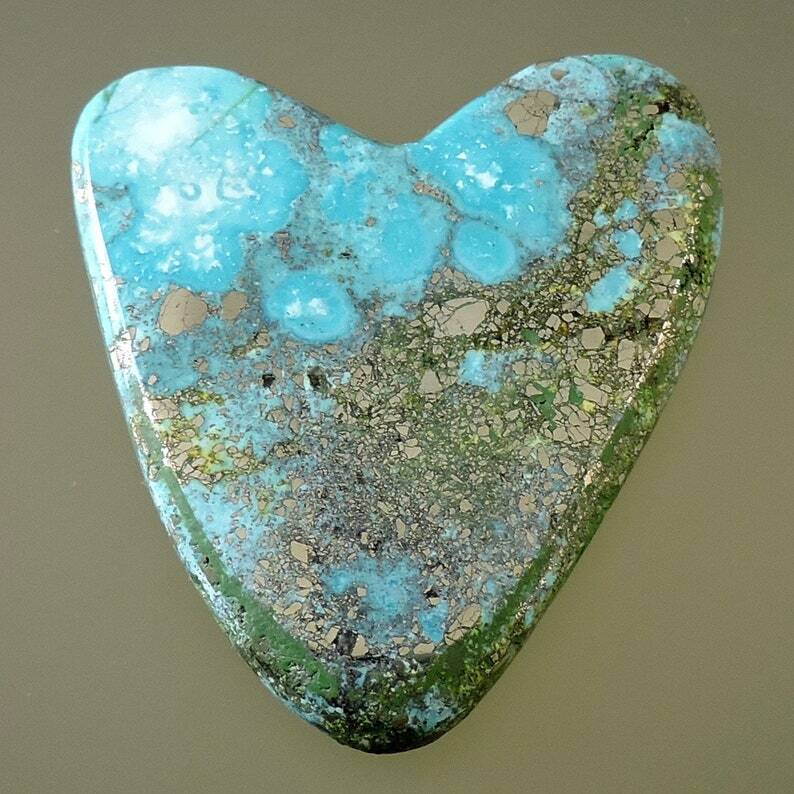 Here is a beautiful new and exciting Turquoise. The first cabs available. This lovely Sky Spirit Turquoise is a wonderful Blue Heart with a swirl of white clouds and golden pyrite matrix. This new material is a delight and will make some fantastic jewelry when put together with your muse.